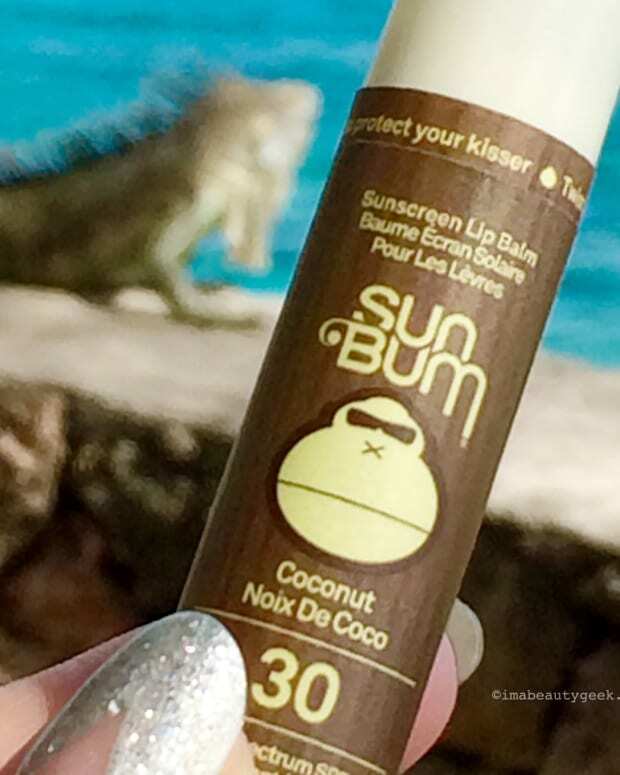 There aren't enough SPF 30 lip balms in the world; I had to try this one. I experienced sunburn on my lips a couple of times in the years before we learned all about sunscreen, UVA, UVB and related filters. Neither was a bad case of sunburn, but my mouth was uncomfortable enough, in a chapped-lips-in-summer – wtf? – kind of way, that I decided never again. Thus I really dig lip balm with high levels of sunscreen. 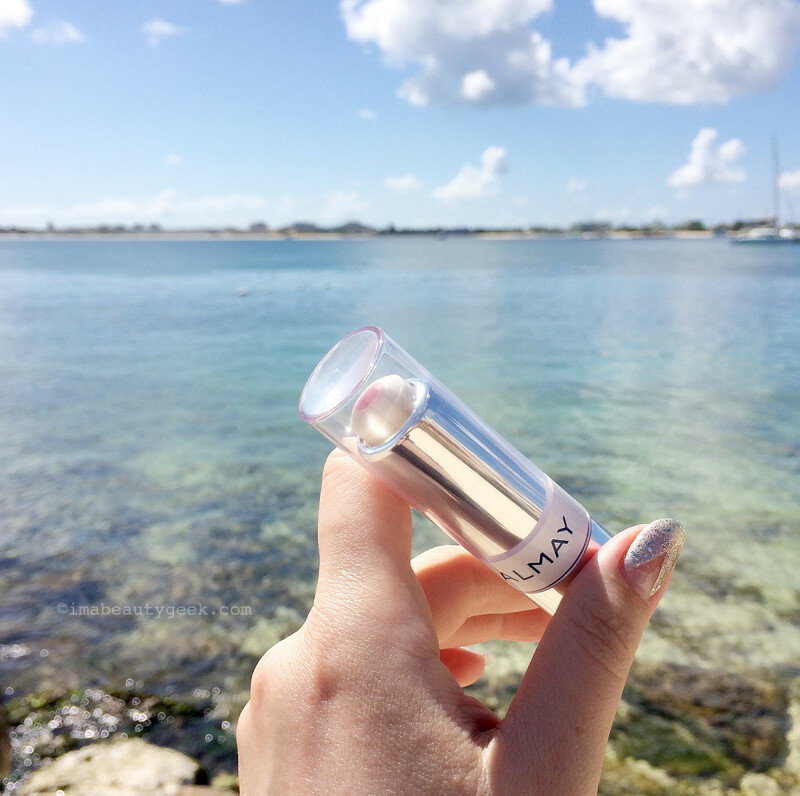 Almay Age Essentials Lip Treatment went straight into my travel bag because it&apos;s an SPF 30. Conditioning components include petrolatum, paraffin, argan oil, shea butter, synthetic wax, coconut oil, Vitamin E (tocopheryl acetate) and hyaluronic acid. Anti-aging elements include sunscreens, tripeptides and two forms of collagen (collagen applied topically serves as a moisturizer; excellent information from the Beauty Brains regarding collagen in skincare here). My favourite detail about this Almay Age Essentials Lip Treatment ($9.49 CAd at drugstores and $12.99 USd at ulta.com) is that it&apos;s an SPF 30. An initial candy-sweet scent alarmed me, but it disappears quickly after application, thank goodness. The texture is buttery, with good stick – not super-sticky, but enough to stay put on lips. After a half-hour of wear, the balm does feel a little rubbery and the tiniest bit gritty, but I just swipe another layer on to deal with it. SPF 30, yo. If texture is more important to you, try Maybelline Baby Lips Lip Balm SPF 20 in Quenched (about $5 CAd at Rexall or Walmart and $4.49 USd at ulta.com). Marc Jacobs Lip Lock Moisture Balm ($30 CAd at sephora.ca and $24 at sephora.com) is an SPF 18, but look at that price tag. 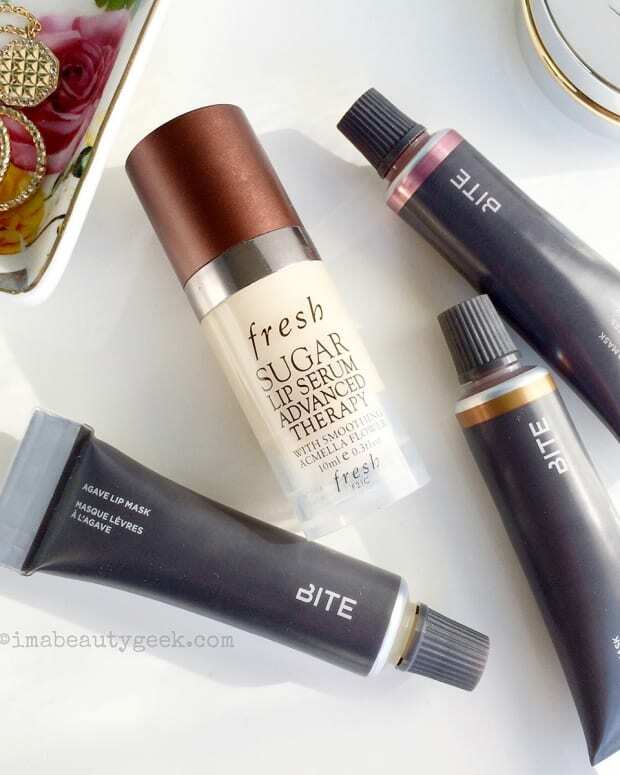 Fresh Sugar Lip Treatment SPF 15 ($28 CAd at sephora.ca and $24 USd at sephora.com) is also lovely, but the bullet does not hold up to heat well (it&apos;s super melty). Plus, again with that price. 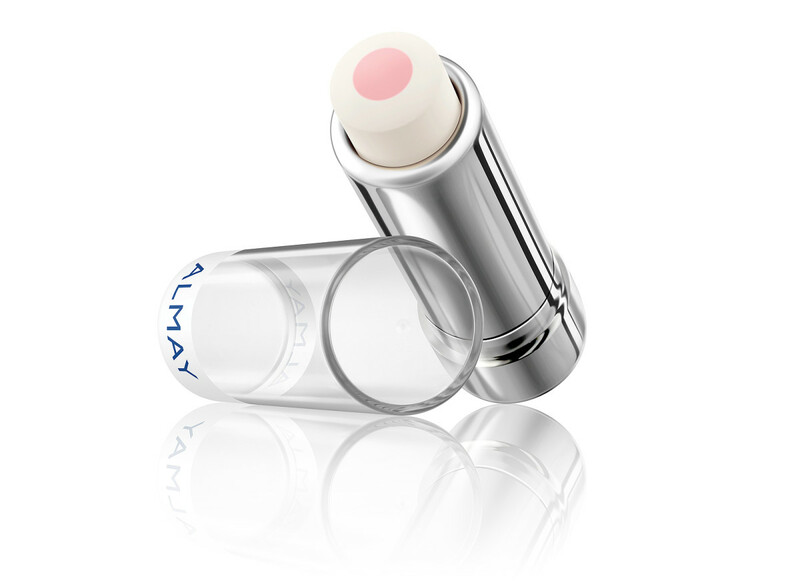 Have you tried this Almay SPF 30 lip balm? What do you think? 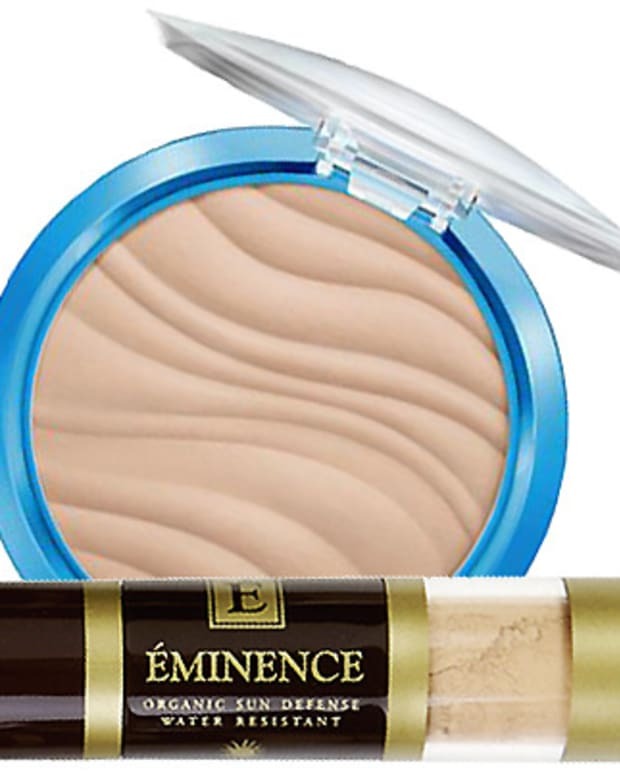 Do you have a favourite SPF 30 formula?